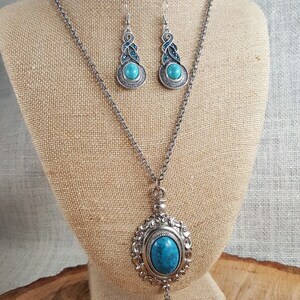 17 premium glass pearl necklace with 1 metallic star pendant with matching star earrings. 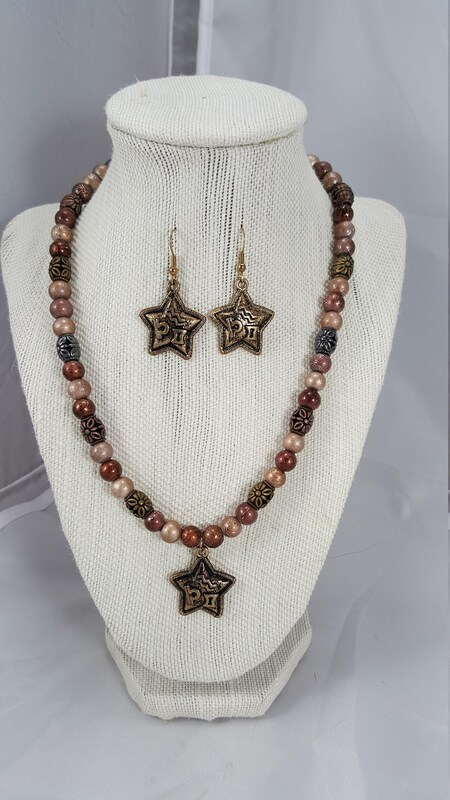 17 " premium glass pearl necklace with 1" metallic star pendant with matching star earrings. 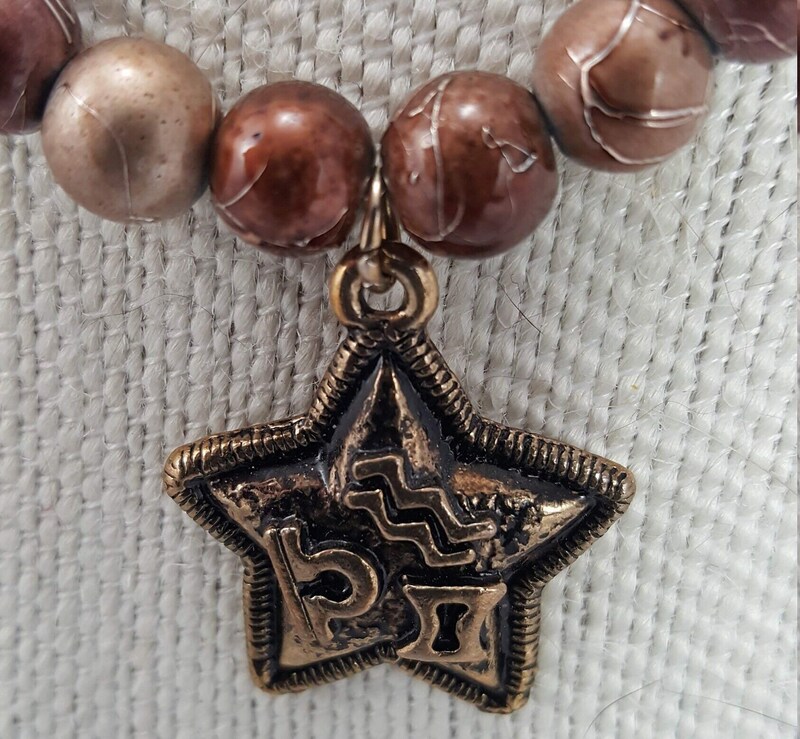 Handcrafted 17 “ warm chocolate brown, beige and gold tone beads interspersed with bronze sun design beads with 1” star pendant and matching star earrings with gold hook for pierced ears. 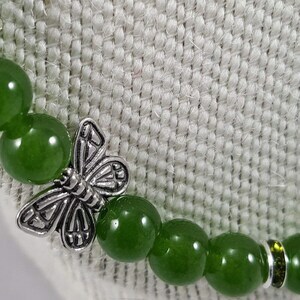 Creative Brilliance, and Divine Guidance. 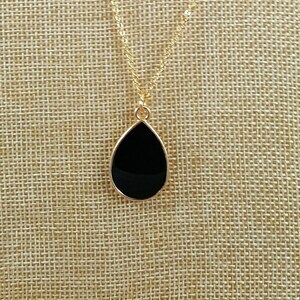 Black Onyx pendant on a 22" gold chain with matching fish hook earrings. 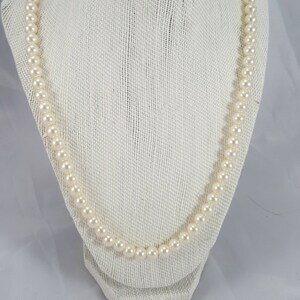 24" white pearl necklace with zircon and teardrop pearl post earrings.